I just finished The Hunger Games Trilogy. I’d read The Hunger Games a few months back, and between Sunday and Tuesday I read Catching Fire and Mockingjay (thanks to mom’s Kindle, which I will blog about later). I really enjoyed both books. I think they’re well-written, have a compelling plot and characters, and make several good points. That said, they are all written in first person POV. Reading them has made me realize quite clearly why people hate first person stories so much. 2. The big reveal at the end has a tendency to fall into monologuing. As the entire story is necessarily monologuing, it’s hard to show the reveal rather than telling it. 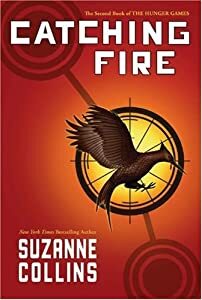 This is most clearly seen at the end of Catching Fire [highlight for spoilers] wherein Katniss explains everything regarding the end of the Games and the rebel rescue in one short paragraph, almost monotone. It felt like one of those “The Least You Need to Know” sections at the end of a chapter in a Complete Idiot’s Guide To…. 3. Your message can get anvilicious. You are no longer hiding this message within layers of interaction among characters from a third-person perspective or within setting; your main character is stating quite clearly what your message is. You are unable to let the horrifying truth of the events ring through without your main character commenting on them; otherwise your MC becomes a heartless automaton. This means walking the line between subtlety and anvil-dropping becomes more than a tightrope; it’s a veritable nightmare. Coming up: Friday Five about my trip so far and a post about ebook readers.